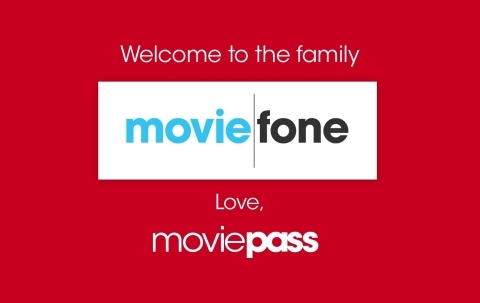 New York (April 5, 2018) – Helios and Matheson Analytics Inc. (Nasdaq: HMNY) (“HMNY”) and MoviePass Inc. (“MoviePass”), the nation’s premier movie theater subscription service and a majority-owned subsidiary of HMNY, today announced that HMNY has acquired Moviefone, an entertainment service owned by Oath Inc. (formerly, AOL Inc.) (“Oath”) which provides over 6 million monthly unique visitors full access to the entertainment ecosystem, from movie theaters to streaming services and all screens in between. “HMNY’s vision is to have MoviePass support the entire movie theater industry ecosystem– from distribution to exhibition and now, content,” said HMNY’s Chairman and CEO, Ted Farnsworth. “Above all, we believe the Moviefone acquisition will serve as another valuable source of revenue for HMNY and MoviePass,” concluded Mr. Farnsworth. Helios and Matheson Analytics Inc. is a provider of information technology services and solutions, offering a range of technology platforms focusing on big data, artificial intelligence, business intelligence, social listening, and consumer-centric technology. HMNY currently owns approximately 81% of MoviePass Inc., the nation’s premier movie-theater subscription service. HMNY’s holdings include RedZone Map™, a safety and navigation app for iOS and Android users, and a community-based ecosystem that features a socially empowered safety map app that enhances mobile GPS navigation using advanced proprietary technology. HMNY is headquartered in New York, NY and Miami and listed on the Nasdaq Capital Market under the symbol HMNY. For more information, visit us at www.hmny.com. MoviePass Inc. is a technology company dedicated to enhancing the exploration of cinema. As the nation’s premier movie-theater subscription service, MoviePass provides film enthusiasts the ability to attend up to one movie per day for a low subscription price. The service, accepted at more than 91% of theaters across the United States, is the nation’s largest theater network. For more information, visit www.moviepass.com.